According to a recent study, the more time people use the Internet, the less time they spend with real human beings. Some people say that instead of seeing the Internet as a way of opening up new communication possibilities world- wide, we should be concerned about the effect this is having on social interaction. In recent decades the rapid advance of the technology has made the communication between people much easier and faster. Although Internet has brought many benefits to the field of communication, its wide use inevitably has been associated with negative impacts on social interaction. The benefits of Internet in terms of increased communication are evident, with people connected across the globe. Before the invention of the internet, not too many years ago, communication was possible only by phone or mail, which entailed time and expenses. This way of communication also mostly allowed people to keep in contact with those people they already were known to them. The area of Internet has changed this dramatically. Email and social networking such as Facebook, Twitter and MSN to name a few have created online communities which are global in scale and they have fostered the communication between people and countries that we would not have thought possible in the not too distant past. However, undoubtedly this has had detrimental effects on the amount and type of social interaction that takes place. People, especially young generation spend a considerable amount of time online, chatting and on forums. Even though, this might be beneficial to some extent, it is not certainly the same as the real interaction with human beings, as it does not involve the same communication skills. It is extremely important that young children have and extend real friendships in order to develop their own interpersonal skills. In addition to this, if people spend most of their leisure time online and not mixing with their neighbourhoods, this would not only have negative effects on local communities, but also would lead to feeling of isolation for the individuals who do not have a real person to turn to in times of need. To sum up, it can be said that the Internet has without no doubt been beneficial to communication, but we should not underestimate its potential negative effects on social interaction in our societies. Thus, it is crucial that we maintain a balance between our online life and our contact with real human beings. In all my attempts, I have not been able to get 7 in writing. Here is an example of an essay I wrote, could you please advise how I can improve? In today’s world, the Internet has become extremely popular. Some people believe, it is beneficial for several reasons while many argue that the disadvantages associated with it cannot be overlooked. I completely agree with the latter part. On one hand, some people believe that the Internet has been advantageous for many reasons. First of all, it helps communicate with people all over the world. The use of emails, social networking sites and video chatting has enables people to easily and quickly talk to their loved ones even from a far distance. Another benefit to be considered is that it is cheaper than sending mails via post. Furthermore, internet makes it convenient to pay the bills online and saves time as well, so people do not have to go personally to pay the bills. On the other hand, some people argue that the Internet has many disadvantages. For instance, the younger generation spends a lot of time in front of computer or on their phones which is harmful for their health as it affects their eyesight and also makes them physically inactive. In addition, inappropriate contents on the Internet like violence and obscenity negatively impacts on young people. Furthermore, the increasing number of cyber-crimes is taking place these days. More and more financial crimes are committed via the internet. Another problem the Internet creates is that overuse of it tends to make people isolated as they become unsociable and self-centred. In my opinion, the disadvantages of the Internet outweigh the advantages, hence, making it harmful to the growth of the youth. Therefore, its consumption should be reduced and people should be protected from the negative effects of internet. It is important to have habit of checking your answer after completion, otherwise no matter how good you have written, your mistakes will drain your marks and at the end you will be lingering with poor scores in writing. You must be partly with the question. You stated that you completely agree therefore you should only discuss the negative effects all through out your body paragraphs. 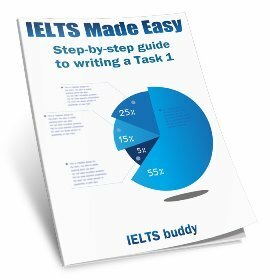 I guess you get 7 in majority of the ielts writing criteria except task responce which is 6.5. Even if you completely agree / disagree with the opinion, you can still look at the other view. You need to word it carefully though to make sure you show that you are just pointing out that there is another side to it and which side you are on. Some people say that the Internet is making the world smaller by bringing people together. To what extent do you agree that the internet is making it easier for people to communicate with one another? It’s quite interesting and amusing at the same time, discussing this topic. If we remember back in the 80th, we still very much attached to conventional letter a.k.a postal mail. It took weeks even months before a single letter arrived at destination. But in the 90th, the way people communicate accelerated to profound degree. Internet not only allowed people to send and receive messages across countries in speed of light, but it also managed to cut the expensive cost which previously part of communication constraint. In present days, even home telephone devices are collecting dusk. Smartphone, tablet, laptop and notebooks had overtaken those “primeval” devices. People found that application like whatsapp, blackberry messenger, ease their way to interact with each others. In fact, text messaging took its turned to become obsolete. We also shouldn’t neglect the power of social media, which escalated as powerful tool for political communication. Obama, who once remarked this, had successfully gained followers to help him won the presidential election. But internet has several negative’ side as well. Instant Messenger, for instance, had been pointed out as scapegoat for making youngster became more “autistic” due to its nature in physical inactivity. When distance no longer an issue in interaction and having gadget in hand, it is all what it takes to start mingle with your peers. Not to mention, these days news related to social media’s crime scene had brought horror to certain people. It also pledged guilty as the predisposition factor for increasing numbers of infidelity and divorce among couple. So as the internet has brought a lot of advantages to human civilization and had triumphantly change the way we communicate, the cons inevitably followed as its consequences. Thus, we all shall take precaution with it. 3.In present times sounds better. 5. either expense or cost. not both. 7. smartphone---have overtaken- plural hence plural verb- subject verb agreement. 8. blackberry have made interaction very easy making even text messages obsolete. 11. However, the negatives impact of internet cannot be ignored or overlooked. Thank you chaya for taking time to review my essay. Very glad to read it. You have underline some of my flaws. 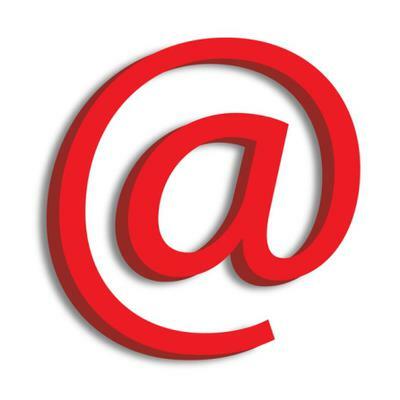 Can i contact you directly through email? The widespread use of the internet has brought many problems. 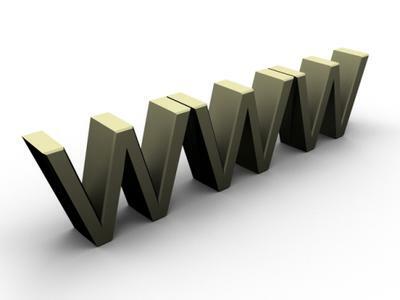 What do you think are the main problems associated with the use of the web? Technology advances, especially with computers and web, passed many stages to reach many people and become available to everyone including teenagers. However these advances do not come without any cost and disadvantages. Such these advantages could be classified to different degrees in their severity and may affect health and time or could affect people culture and traditions. Generally people, nowadays, browse the web during their free time. This may involve wasting a lot of their valuable time so they become addict to it without thinking seriously about their health. Research shows that people sit for long hours in front of computers monitor could suffer from many health problems such as back pain, dry eyes and other joints injuries. I think the most obvious solution is by reducing the browsing time to the minimum and following a restricted fixed schedule about what to do within aim to achieve specific tasks. Another well-known issue is family based, appears when children and teenager getting to use the web. They could spend many hours in activities like playing online games and browsing unsocial websites. This could lead to bad performance and behavior at school. Furthermore, they may not be able to complete their homework which escalated to not attending school. This problem could be overcome by controlling browsing time and access. For examples, parents could install software such as parental control or implementing access functionality like username and password. Lastly, a familiar problem is facing all business with their employees. They are claiming that most employees who need the internet to do their work spend many hours visiting unnecessary websites and reading unwanted emails. Such as issue could be solved by IT department by installing serves and proxies that limit access and block unwanted emails. To conclude internet is a very useful technology that give many possibilities to people to use at work, school and home which I think personally should not misused or overused. However I am not a subject matter in this topic, I read your essay with great joy. 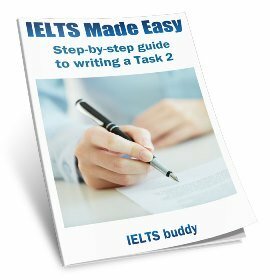 It is a well built up essay, I personally could just wish that once I will be able to write an essay like yours. I do prepare myself for an English exam, so I was really happy to have the chance to read and to learn how to built up my own one when time shows up. The internet is probably the most significant invention of the last 30 years. Without it our lives would be completely different. Recently, Internet of technology makes many different habits in our life. People do many things on internet. Actually, now not only adults and teenagers use internet, but also children too. There are a lot of negative effects and positive effects of internet. In fact, smart people use internet to help their activities, and few other people use internet just to waste their time. Because of that, I agree with this statement. I believe that internet has two benefits in the world. the first, knowledge is very important to all people, internet technology can help people for studying and finding many science. For example, there are in school not enough teachers to give information about anything, students use computer to find what they want to improve their knowledge. The second, business include important thing to human life, all people need money, while internet makes business easy and fast. For example, if you have ability to sell some things and you do not have financial to build your business, and then you can use internet to introduce your product, such as facebook, twitter, instagram and blog. Internet makes something different every time, it gives education and entertainment to make your life easy, comfortable and happy. Recently, everyone with internet technology feels different thought their activities. It is a good start, but you will lose a huge point in task achievement point because you did not write about the disadvantages of the internet. Also, I think you need to add more a complex sentences and compound sentence. This website includes an excellent explanation of that. 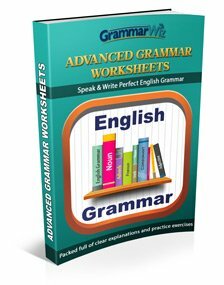 You will find it at lessons section, then click on grammar section. Lastly, I think you should include more transitions word such as moreover, whereas, so - you can learn the strategy from this site. You said that you agree that there are people have used the internet in useful aspects and others have used them in useless things. I guess this is totally different from the question which are if the internet change the world and how we can people live without it. 'Actifities' instead of 'activities' for example. All in all its okay it helped. With an increasing population communicating via the internet and text messaging, face to face communication will become a thing of the past. Recently, the survey by Pew Research Center's Global Attitude Project, has declared March 21 to May 15, 2015, that social networking is popular in many nations around the globe. In particular, cellphones and social media are owned by overwhelming large majority of people around the world. Also, survey has declared, text massaging is a global phenomenon-across the 21st countries. Undoubtedly, social networking is hurting human interaction. Initially, Pew Internet and American Life Project set up a study on uses of cellphones and Charing and results are not so much surprising because every juvenile is more likely prefer text messaging. Even though it may be convenient in many ways, like telling someone something very important when you don't want to talk him/her face to face. Lots of times, texting is being used so much that face-to-face communication is demolished. Even eye contact is gradually going away; people are becoming more and more avoidant and forbearing. This lack of body language eliminates sincerity in typical conversation. The reason is sarcasm and other moods and attitude are not as clear through text as it could be in regular conversation. Apart from this, texting or using internet are becoming an addiction. Many psychologists also believe that it is more than that a mental illness. Even so, constant texting jeopardize physical, emotional and cognitive health. Particularly, one of the disadvantages of using advanced communication systems is this, relationships, friendships, letter writing, sending occasional cards are ruined their importance by chatting. The skill of writing has vanished, even no occasional cards are sent so as no more love remained between two people. Quality time isn't the same anymore as it was, since everyone is on their own technology. Mostly, interaction is through internet or chatting, so when you wish to meet face-to-face is now weird. Eventually, percentage around the world a out using social networking is higher in U.S. 50% and in Israel 53%, but this critical condy reveals that this addiction besieged everyone in its web. And in result, this totally ruined human interaction. Also averted people from regular conversation and gossips. The electronic communication deteriorates the people and their relationships that it urges us to forcely say that face-to-face communication soon will apart of past. What do you think of this Essay on the Decline of Face-to-Face Communication? Now a days, Internet has been used in every field such as in education, hospital, business, companies, and so on. Internet has been a vast means of communication. I agree with the statement and I would like to give my opinion in the following paragraphs. There are many positive effects in the usage of internet. First of all, through internet one can be connected with the world easily and efficiently. Second, in the olden days, sending a letter to a person living in another area has been a very difficult situation because, it takes one or two days time to reach its destination, but now it has become very easy, if u send a mail to a person living in another area or country, it will reach in seconds to its destination. Finally, chatting can be done with the people around the world using whatsapp. One small message can be sent to number of people using internet. Now a days, social websites like facebook, twitter, has helped people to be connected with the people all around the world. Every simple doubt related to education, business and so on can be clarified using the internet. Besides the positive effects, there are some negative impacts in the usage of internet. First of all, misusing Internet is one of the main disadvantage. To illustrate, using the internet for hacking the mail id's, disturbing the social websites like facebook, twitter, by posting the bad things, and teasing the ladies by creating unknown accounts. Now a days, crimes are being done on the internet. Second, getting addicted to the internet is also one of the negative impact. To illustrate, people who do online jobs sitting at home needs some rest to their mind. In other words, refreshment should be given to their mind, if not their brains will be effected and many other problems will be a raising such as mental disorder, frustration towards the work and so on. With this intension people cannot enjoy their work. The suggestions to be given based on internet are, internet must be used for a purpose, but not for pass time. Social websites must be reduced because through these websites virus may attack and the systems or mobiles may be damaged. Therefore, I strongly support the statement but, the internet must be used to an extent. Using internet more than the purpose may cause harm. You can provide comments on this Problems of the Internet Essay below in order to help the candidate improve their score. Poorly organized and does not fulfil the purpose. Sentences structure and vocabulary are simple. 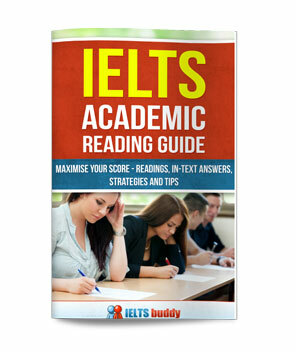 Although I am not an IELTS examiner but if I am asked to grade this easy, then I will grade it 5.5 or 6 band.